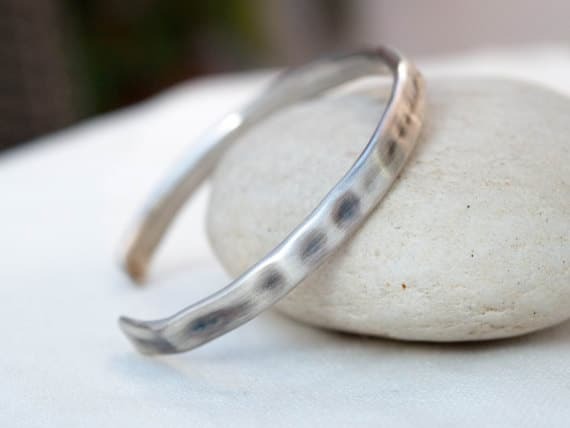 Silver bracelets for men make a stunning addition to men’s daily attire. They are simple, sleek, and elegant. They say that the only jewelry a man can wear is a watch or a wedding ring. However, with the constant changes in fashions trends, wearing bracelets for men has been widely accepted. Simply learn how to wear men’s bracelets and soon rock them! Silver bracelets are versatile. They can be an awesome finishing touch to formal outfits, as well as casual outfits. There are tons of options for silver and gold bracelet designs online. The most popular ones that men love are the chain, medallion, charm, beaded, cuff, bangle, omega, and multi-string bracelets. 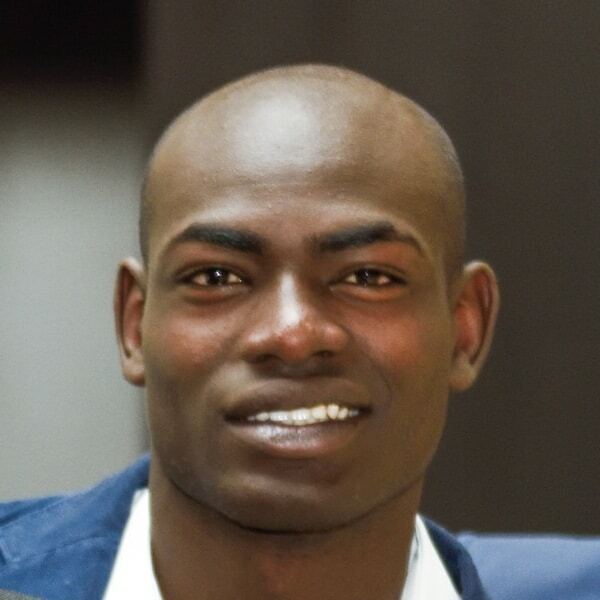 They come in different sizes, thickness, and styles. Chain, charm beaded, bangle and omega style bracelets are often thin in size. This makes them a subtle accessory to wear. On the other hand, multi-string, and cuff bracelets are thicker and heavier. Since they have a relatively big size, they are best worn alone. Whichever bracelet you think is best for your daily style, don’t be afraid to try and rock it anytime! The silver chain link bracelet is the most common bracelet design that most men wear these days. Chain bracelets come in different designs, shapes, patterns, and weaves. They also come in different thickness, weight, and sizes. The thicker or the more intricate the design gets, the more expensive they will become. Cable chains are the most affordable and simplest options. But if you are ready to invest, you can get silver bracelets that follow more intricate patterns like rope chains wheat chains, and numerous more. Medallion bracelets have similar characteristics with chain bracelets. It features chains on its main design. However, the medallion is more special because each of its links features unique designs. The designs can vary from stamps, gems, stones, and more. Since each link is adorned with many materials, medallion links are relatively larger and thicker than normal chain links. Men are also hooked with omega chain bracelets. Omega bracelets feature small scales threaded tightly over a wire. This design is somehow similar to a bead bracelet. The only difference is that jewelers use scales that contain lesser adornments. The bracelet is also stiffer to wear. Silver charm bracelets are perfect for men who are sentimental. Typical silver charm bracelets feature a chain. The chain serves as a base for different charms. Charms cling to the holes of the chain link. However, recent trends for bracelets also gave way for wire-like round silver bangles to be more popular. 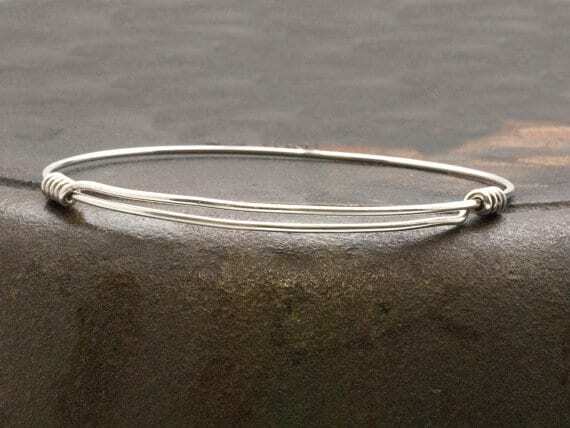 Thin wire-like silver bangles can also serve as a base for the charms. Chain or bangle, both styles are awesome for charm bracelets. Charm bracelets make a perfect accessory representing significant life moments. It can also represent new places, interests, hobbies, and personality. Yes, you read it right. Silver can also come in beads. Jewelers shape the beads with a hole in the middle so they can easily weave it over bands. Silver beads come in different design variations. Some beads show printed designs or Tibetan prayer patterns. Other beads have different colors of enamel. There are also variants that feature gems and stones. Bead bracelets are simple to make but they can feature intricate and complex design making them look expensive. Bangle bracelets are round thin bracelet made of metal. The simplicity of bangles makes them ideal for a subtle accessory. Bangles are usually thin. There are different variations of bangles for men. 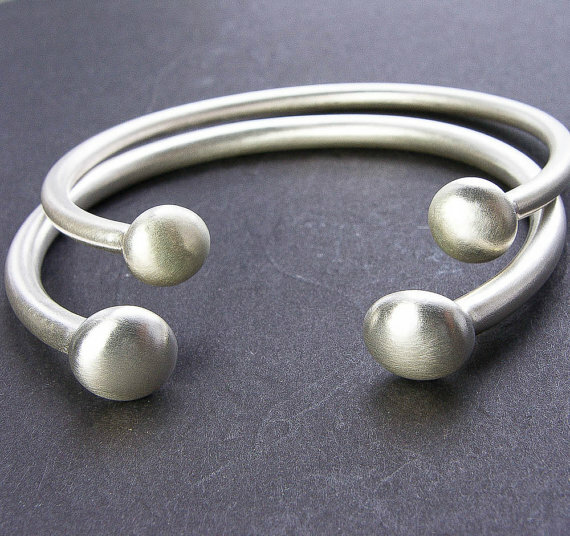 Some silver bangles are flat while others are round. 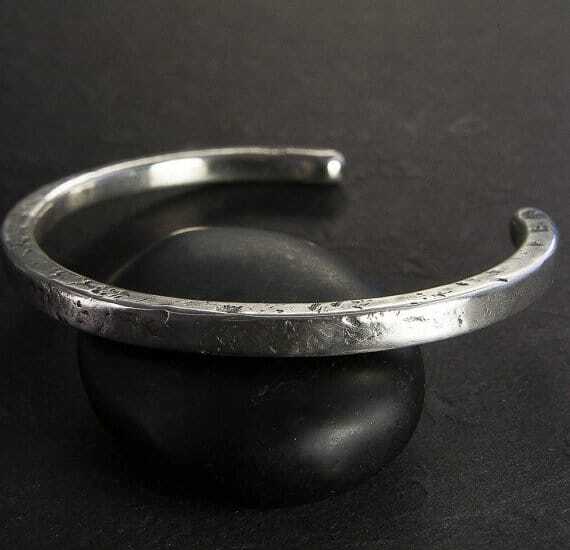 It is also easy to find bangles with a rough surface. They are not too heavy and not too thick. Since bangles are typically thin and less adorned, it makes them perfect for daily accessorizing. Some bangles even allow adjustments so it can provide a more comfortable fit around the wrist. Cuffs are perfect for men who love to wear bold jewelry. 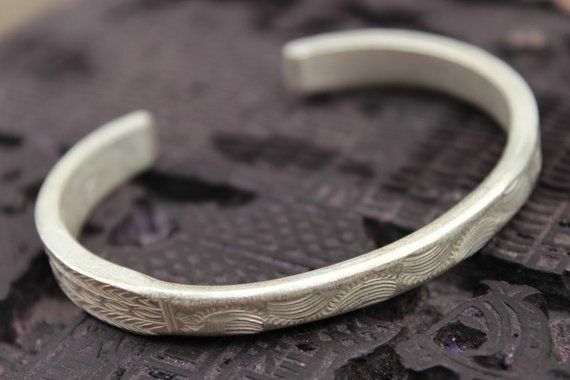 Silver cuffs for men typically feature stamps, stones, and gems. It also comes in intricate designs and patterns. Cuff bracelets do not feature clasps. They appear like round bangles but they do not complete a whole circle. Cuffs have a small opening. This opening allows wearers to simply slide the wrist through the cuff to easily wear it. Then, the wearer can rotate the bracelet for a better orientation on the wrist. 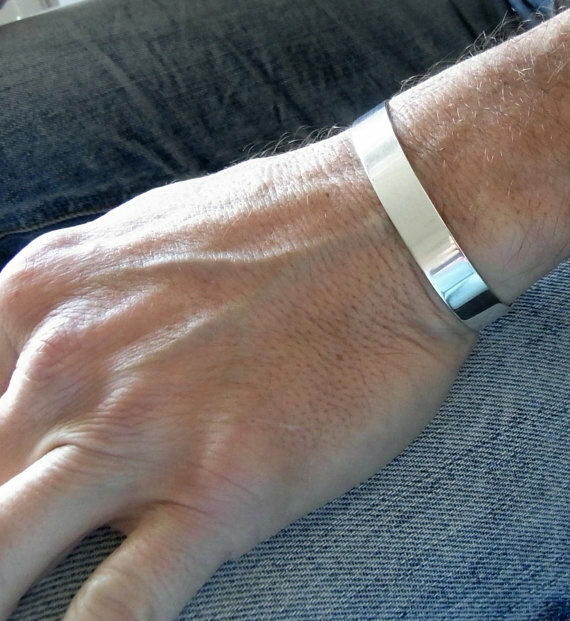 Silver bracelets for men come in different clasps. Clasps are the mechanisms locking specific bracelets to the wrist. There are different types of clasps that can secure bracelets. Some of the common types jewelers use for silver bracelets are toggle clasps, lobster clasps, spring ring clasps, and hook clasps. There are also some variations that do not use a clasp. Below are the types of clasps and the advantages and disadvantages of wearing one. Toggle clasps are one of the most common lock types for silver bracelets for men. 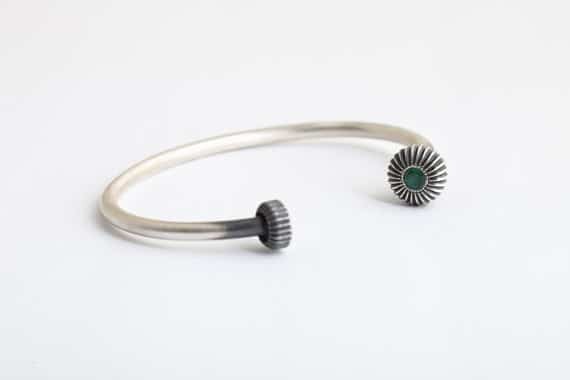 It features a hoop on one end of the bracelet. 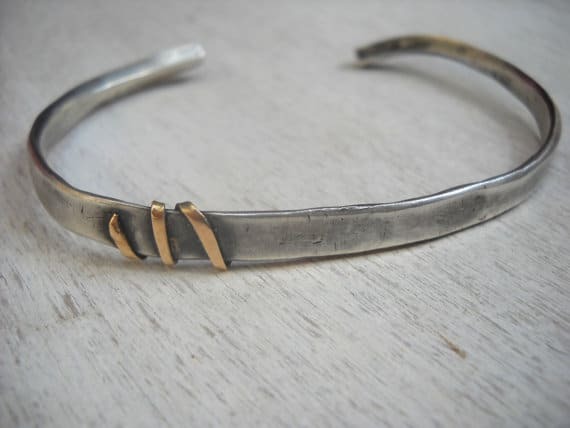 The other end of the bracelet features a T-shaped metal bar. When the wearer inserts the T-shaped bar to the small hoop, it allows the bracelet to lock on the wrist. Toggle clasps are perfect if the length of the bracelet is an exact fit to your wrist. If not, there is a chance it will fall. Toggle clasps are not as secure as other types of bracelet clasp. If the bracelet that interest you features a toggle clasp, ensure that the length will be exact or close to your wrist size. On the good side, toggle clasps are perfect for men with limited dexterity and poor vision. Anyone can easily lock it without the need for assistance. Bracelets fearing hoop clasps are easy to wear too. It features a small wire hook on one end of the bracelet. It also has a metal hoop on the opposite end. The hoop fits perfectly on the hook. Wearers can easily fasten and lock the hook clasp. Simply lock the hook through the hoop and you got your jewelry perfectly fastened. Hook clasps are also durable. They are less prone to breaking, unlike lobster and spring ring clasp. It is also relatively easy to wear. It needs little dexterity. Lobster clasps are also fairly easy to lock. It features a small hoop on one side and an oval-shaped thick clasp on the other side. A wearer can operate the clasp by using a small lever. The lever is depressed to open a jointed segment on the clasp. Once its wearer releases it, the bracelet will be successfully locked on your wrist. Compared to toggle clasps and hook clasp, lobster clasps are more secured. The security comes with a price, though. A wearer needs a significant amount of dexterity to be able to use it. Spring ring clasps are somehow similar to lobster clasps but also different in some aspects. The main difference is that the hook on one side of the bracelet does not follow an oval shape but a circular shape. Additionally, the hook on a spring ring clasp is smaller and thinner compared to the lobster one. Wearers can operate the spring ring clasp by depressing the small spring with the help of a small lever. Like lobster clasps, spring ring clasps are also not ideal for people with limited dexterity and poor vision. The spring clasp is also prone to damage when exposed to harsh chemicals like astringents and cleaners. There are certain types of bracelet that have no clasp. These are cuffs and bangles, and often elastic beaded bracelets. If you do not want to spend hours figuring out how to wear a specific bracelet, get cuffs and bangles now. They are meant to simply slide through hands and wrists. Surely, cuffs and bangles are perfect for people who have poor eyesight and low dexterity. 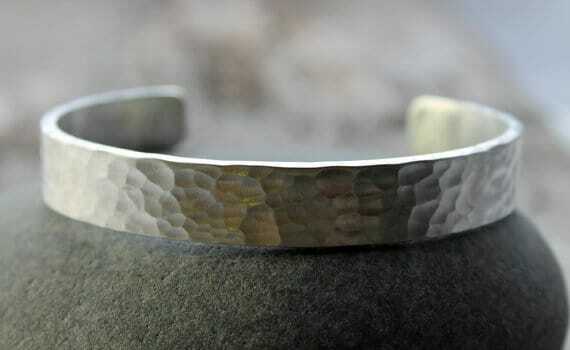 Silver bracelets for men are relatively easy to maintain. When purchasing a silver item, t is always best to get sterling silver. When you do, ask the store about the contents of the sterling silver bracelet. It should not have copper in it. Some sterling silver bracelets contain copper. You would not want copper to be on your bracelet. If you do, we are sorry to tell you that copper can cause tarnish on the bracelet. All we can say is to be ready for a constant battle against tarnish your silver happens to have copper. You can also ask the seller if the bracelet is tarnish-free. Follow the brief guide below for a long and lasting shiny silver bracelet! 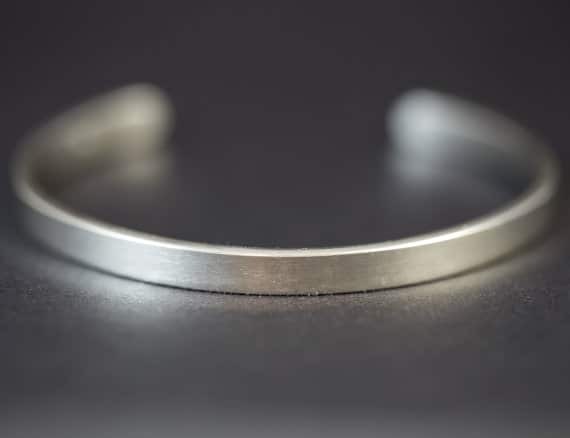 Place your silver bracelet on a soft cloth or a separate compartment in your jewelry box to prevent other stronger stones from damaging its surface finish. Do not wear the bracelet when going for a swim at swimming pools and beaches. Saltwater or chlorinated water can potentially damage the bracelet and cause decay or tarnishing. Avoid exposing the bracelet to moisture. If it does get wet, dry it out immediately with a paper towel or a soft cloth. Do not expose it to chemicals like perfume, cleaners, lotion. This means that you should wear men’s jewelry last on your daily routine to work. 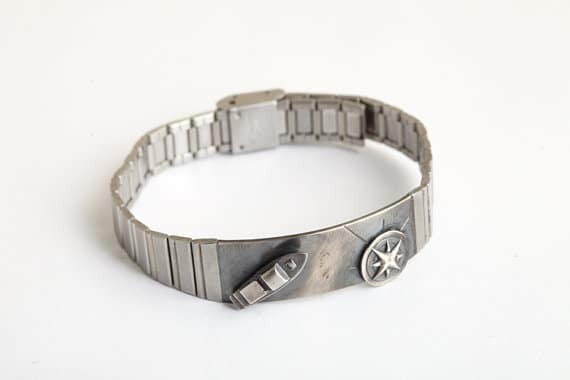 Do not wear the bracelet when doing household chores or playing games. Always clean the bracelet. You can use jewelry cleaners or go to the nearest jewelry shop. 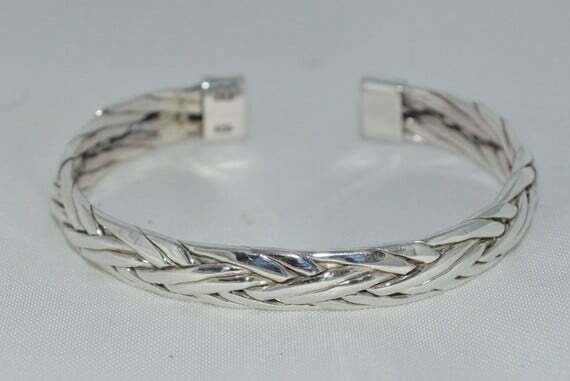 Silver bracelets for men must be in every man’s jewelry box. Aside from its flexibility when it comes to styling, silver bracelets also reflect a brilliant luster that no other metal can. It is a metal that is brighter than platinum or white gold. The biggest catch is that it is super affordable. There is a lot of dollar difference if you compare its prices with other popular luxury metals. Not only that, you can pair silver bracelets with all of your clothing sets. 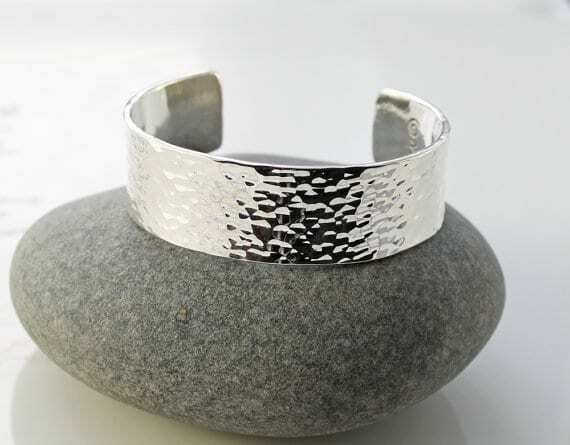 Casual or formal, day or night, silver bracelets will surely make you stand out. What are you waiting for? Get one now and style your clothes with it!